Florida (USA), Liberty County, Telogia, Wet depression in longleaf pine forest, 13 miles S of Telogia. 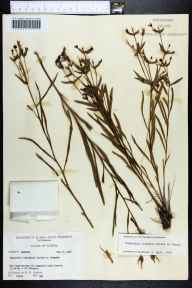 Herbarium of the University of Michigan-Euphorbia inundata Torrey ex Chapm. Determined by Michael J. Huft, 1979. Documented by weismanj on 29th May 2015.